PORT-GENTIL, Gabon -- "Look, I'll show you something." Ghana manager Avram Grant pulls out his smartphone and brings up an image captioned "Avram's Triangle." The three sides are labeled "Talent", "Passion", and "Mental Strength" -- the components he tells his players they require to succeed on the pitch. Facing DR Congo in the African Nations Cup quarterfinals on Sunday, the former Chelsea, West Ham and Portsmouth manger will need his Ghana side to make sure that every one of those aspects are brought to the game if they are to process to the next round. Grant cuts a relaxed figure, sitting in the restaurant at Ghana's team base, two years in charge of the Black Stars have taught him what is required when overseeing four-time continental champions and he has his own methods to add, too. "You come to the pitch and even if the kit man is playing you have to win 4-0 against Brazil," he says of the pressure his side are continually under. "Without talent you can't achieve anything. But I say to the players 'Everybody wants to win; to be a winner is a different thing'. And here comes the mental side, the passion. "My son, Daniel, was a big talent. He was in England, scored for fun, two goals every game. But he didn't have the passion to be a football player. He's charming, fantastic, and even helps me now with scouting. But you need passion to succeed and then mental strength to deal with all situations. That's what I am trying to put in the minds of the players, and in Africa I must say the players pick the information very well. The players are fantastic, coming with a positive attitude." 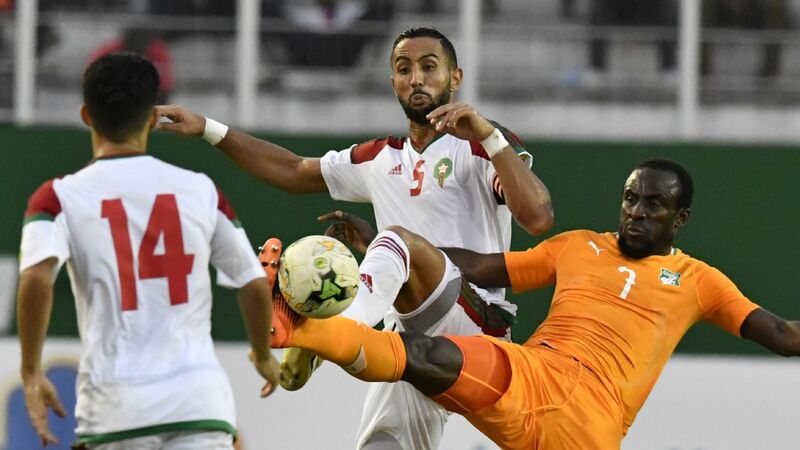 So far, that attitude has translated itself into 1-0 wins over Uganda and Mali, which guaranteed the 2015 runners-up their place in the Nations Cup knockout stages and made a subsequent single-goal defeat to Egypt less consequential. "When I came to Ghana [in November 2014], I said in my interview 'I want to bring the good things from Europe to Africa,'" Grant adds. "There are a lot of things I could take from Africa to Europe, but where organisation and preparation are concerned I think we can help." Grant has not had the easiest of rides, particularly from a local media that questions the amount of time he spends in Ghana. He counters that too many visits to the west African country would count as "a vacation" given that the vast majority of his players are based abroad; he believes the squad is developing quickly after a difficult handover between generations. "I took over before the last Cup of Nations, when a great generation had become a little bit old," he says. "Sulley Muntari, Michael Essien -- who played for me at Chelsea and was a fantastic player -- and others. Except for Asamoah Gyan, the new generation didn't have the experience, so at the last tournament we gave them time to play and they reached the final. "Now they have more experience and you can see it in the good moments, also the bad ones: they are very calm and don't panic." One of Grant's major concerns is that young Ghanaian players are often pushed into making the wrong choices. He uses Newcastle loanee Christian Atsu -- "One vs. one he's one of the best I have ever seen in the English league, but when you change team every six months or every year..." -- as an example of someone whose career trajectory, currently taking in a fifth temporary move since joining Chelsea in 2013, has not quite worked according to plan. "All the talent in Ghana leaves the country very early because the salary in the league is $1,000-a-month. Most of them come from poor families so if the offer is £2,000-a-month, they leave. But for me, the [size of the] first contract is not important. First you need to go to a team that will develop you and then the second and third contracts will be good. But they always choose where the money is very good because they want to earn some money. "Even the people around them, the agents, don't understand that if the develop a player the next 10 percent fee is going to be more than the first one. I've spoken with a few of them and said 'You are making a lot of mistakes, you destroy the player, and so you have less commission.' What we want to do is look further forward than the next few months and look at the next two or three years." Avram Grant has high hopes for his Ghana side. Grant's career in coaching goes back 45 years; his experiences in his early 20s, travelling around Europe to learn from the best, helped make him the man he is. In the 1970s, he spent time with Liverpool, undeterred despite almost making the critical mistake of wearing a blue shirt on his first visit to their Melwood training ground. There, he saw at close quarters the work of a team and manager that he believes set a mould for football's progression. "I think Bob Paisley changed English football," he says. "They say Bill Shankly, [but] I think him. When he signed Kenny Dalglish after Kevin Keegan left [in 1977], he changed football. You know how the English would always bring tall players: when he signed Dalglish, what was the message? 'We are not playing high balls. "When I brought Henk ten Cate to Chelsea [as assistant coach], why did I bring him? He had been at Barcelona and Ajax; I said to him 'You run the training'. The method was no more long balls to [Didier] Drogba. If you play Lionel Messi as a striker you will not play high balls. All the players Paisley chose in that time were to play football and other teams didn't know how to compete with it, even in Europe. "Liverpool kept the rhythm of English football, that nobody else could play so dynamically, and then they played on the ground -- and they won three European Cups. I followed all the games and it was amazing to see them: tap tap tap tap tap. When you say 'tiki taka', it starts with them." Grant's highest-profile opportunity to make use of this education came after Jose Mourinho's first spell at Chelsea ended in September 2007. But, having been appointed as director of football earlier that summer, he was never the most popular appointment to take over from the Portuguese. An appearance in the Champions League final -- they lost to Manchester United after John Terry's famous penalty shootout slip -- was not enough to keep him the job and subsequent spells of under a year each with Portsmouth, West Ham and Partizan Belgrade preceded his arrival in Africa. 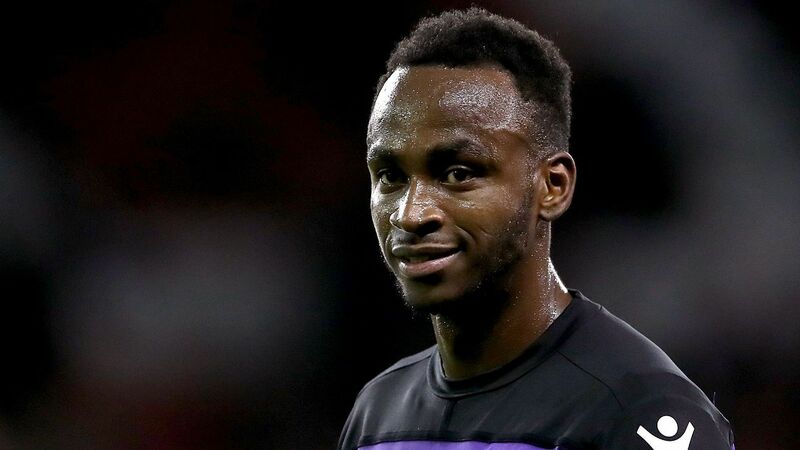 Grant would clearly love another crack at English football and this Nations Cup is almost certain to be his last act for Ghana, as his contract is coming to an end. He will not be drawn on his future plans, but perhaps by the time he moves on he will have found a few answers to the question he asked himself when he first arrived in the job. "I came to Africa because I wanted to understand why, from this talent, they didn't achieve something big as a team," he says, referring to the fact that the continent is yet to produce a World Cup semifinalist. Grant will almost certainly not have the chance to take Ghana that far in 2018 but -- perhaps with the help of Avram's triangle -- a first Nations Cup title since 1982 would be a fine way to sign off.